– “Cookies” are data files that are placed on your device or computer and often include an anonymous unique identifier. For more information about cookies, and how to disable cookies, visit http://www.allaboutcookies.org. – “Log files” track actions occurring on the Site, and collect data including your IP address, browser type, Internet service provider, referring/exit pages, and date/time stamps. – “Web beacons,” “tags,” and “pixels” are electronic files used to record information about how you browse the Site. When you send us an email through the Site, we collect your email address, and phone number if you leave it in the form. We refer to this information as “Contact Information”. Please note that we do not alter our Site”™s data collection and use practices when we see a Do Not Track signal from your browser. 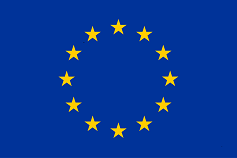 Additionally, if you are a European resident we note that we are processing your information to pursue our legitimate business interests listed above. Additionally, please note that your information might be transferred outside of Europe, including to Canada and the United States. The Site is not intended for individuals under the age of 13. We do not knowingly collect or store personal data provided by anyone under 13 years of age.